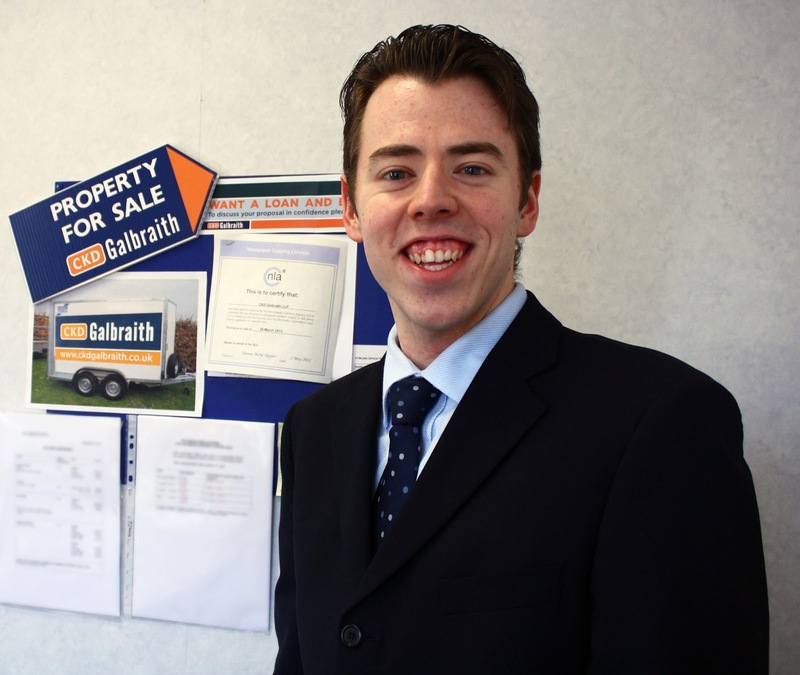 Leading independent Scottish property consultancy CKD Galbraith has appointed its first dedicated social media officer. Martin Harvey, an experienced social media professional, has joined the firm to oversee online networking activity for CKD Galbraith, its holiday lettings business Cottages & Castles, and its prestigious Sporting Lets business. Martin will be based in CKD Galbraith’s Ayr office. With CKD Galbraith’s social media presence across a host of platforms you can like the firm on Facebook (www.facebook.com/ckdgalbraith), follow it on Twitter (@ckdgalbraith) and connect with it on LinkedIn (www.linkedin.com/company/ckd-galbraith.) With the firm already reaping the rewards of an enhanced digital presence, the decision was made to increase the resources that CKD Galbraith dedicates towards social media. A graduate of the University of Strathclyde, Martin, 25, has completed an Honours degree in English and Journalism & Creative Writing, and a Masters degree, also in English. He has previously been Press Officer for Kilmarnock’s Centrestage Music Theatre - who he is still involved with – and recently completed an internship for Barnardo’s Works Edinburgh where he developed the social media strategy for the charity’s youth employability service. Martin is naturally delighted with his new appointment at CKD Galbraith. Coincidentally the firm’s Killoch Place office where he is based was the building where his mother had her first job when it was a branch of the Bank of Scotland. Martin said: “I’m delighted to join CKD Galbraith at this exciting stage in the company’s media evolution to assist in driving the expansion of its social media presence as it becomes the fastest growing medium of client interaction. “We have already established a significant following online for all areas of the firm – the aim now is to build upon the work already carried out and ensure the quality of the firm’s professional services is highlighted on these platforms. Jane Ritchie, Marketing Manager at CKD Galbraith, said: “The property industry is changing. Consumer habits are changing and love it or hate it, social media can be a very valuable marketing tool in the right hands. Since adopting a social media presence just over a year ago, we have seen a rise in interest and enquiries across the firm which can be directly attributed to our online engagement and networking, particularly on Facebook and Twitter. CKD Galbraith’s Ayr office has launched a twitter feed with the latest news of their properties to buy and let across Ayrshire. You can follow them at http://www.twitter.com/ayr_ckdg (@ayr_ckdg). CKD Galbraith is an independent property consultancy employing over 200 people in offices in Edinburgh, Stirling, Perth, Cupar, Inverness, Aberfeldy, Castle Douglas, Ayr, Elgin, Galashiels, Kelso and Peebles. To find out more about CKD Galbraith visit www.ckdgalbraith.co.uk. CKD Galbraith is a Founder Member of the Elite Ayrshire Business Circle.